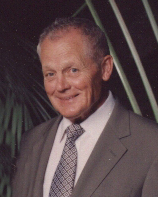 Dan Edward Maloney, age 80 of Wanamingo, Minnesota and formerly of Aurora and Colorado Springs, Colorado died on Christmas Eve in Kenyon, MN. Graveside services will be held at 10:30 a.m. Monday, December 31, 2007 at Evergreen Cemetery in Colorado Springs. Dan Edward, the son of Vincent and Opal (LeMaster) Maloney was born on June 17, 1927 in Kansas City, Missouri. He graduated from Colorado Springs High School, class of '45, served in the U. S. Navy during WWII and upon his discharge, attended Colorado College. Dan was married to Ruth Schreiber for 56 years. He was retired from Lockheed Martin and Raytheon. He is survived by his wife Ruth; 3 daughters, Anne (and Charles "Chuck") Anderson of Apple Valley, MN, Terry (and Jorge) Briceno of Broomfield CO and Dana (and Christian "Chris") Davis of Arvada CO; six grandchildren, Shannon (and Jeff) Hanson of Red Wing, MN, Scott (and Sarah) Anderson of Moorestown, NJ, Shanna Davis of Normal, IL, Brandy (and Aaryn) Sanchez of Greeley, CO, and Bobbie Ruth Briceno and Ryan Briceno of Broomfield, CO; three great grandchildren, Tyler, Josh and Riley Hanson of Red Wing, MN; two brothers, Charles Michael “Mike” (and Lucille ) Maloney of Julesberg, CO and Vincent Edward "Alkey" and (Romelle) Maloney, Jr. of Durango, CO, two sisters, Marcella (and William “Bill”) Warila of Portland Oregon and Dorothy (and Jon “Mike”) Woltemath of Julesberg, CO. He was preceded in death by his mother Opal LeMaster Maloney; his parents, Vincent Edward Maloney and Virginia Romans Maloney; his sister Patricia Duniway. Arrangements are being completed by the Boldt Funeral Home, Faribault, MN.